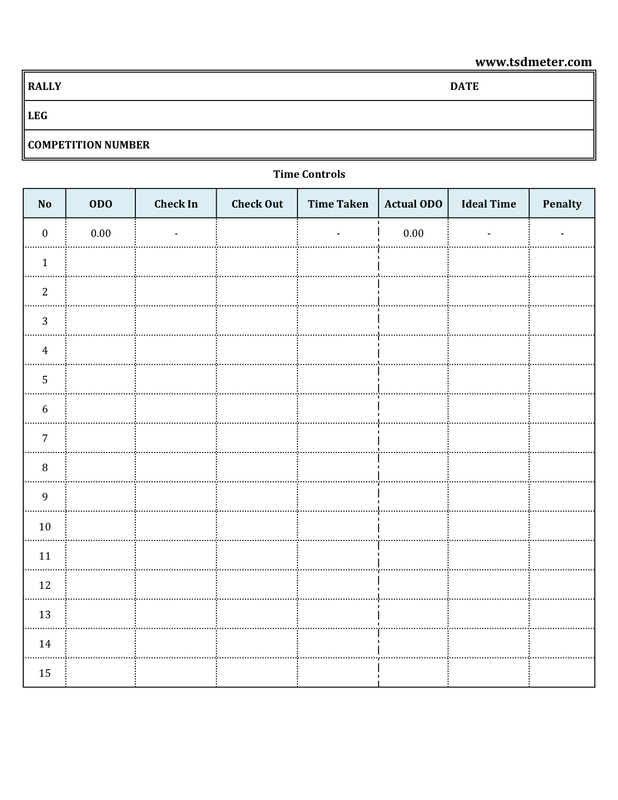 Click to download the TC worksheet in pdf format. If you use Terratrip, set the bottom line to display distance. At a TC, press [CLR] to make this 00.00. This works in cars with two trip meters too, but don’t forget to apply the odo correction factor! Highlight all roadbook instructions with turn offs (from the current track). Don’t get caught in a TC trap! At a TC, make sure that the time written in the marshall register is the same as what is in your time card! 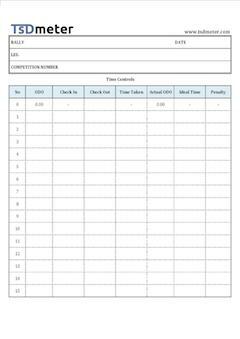 Keep a record of TCs in a worksheet. Compare values in your worksheet with results to make sure that there have been no data entry errors during results calculation. Write down speed changes in the roadbook. This saves you time from having to refer a separate sheet for speeds. Read the speed chart carefully. Are the speeds in kmph? mph? mm.ss? mm:ss? Reduce odometer errors between your car and roadbook by trying to drive on the left side of the road/track. Most likely the rally route setter also drove the same way.